De aangename stem van Garimo zorgt er bij Body Mind Balancing voor, dat je in gesprek gaat met je lichaam. ek ‘Vrij zijn in het Hier en Nu’, meditatiehandboek. Als het boek niet in het Nederlands te vinden is, dan is het wel in het Engels beschikbaar, onder dezelfde titel, met geleide meditatie op CD bijgesloten. Je krijgt zicht op patronen die je nog altijd in je draagt, maar waarvoor het nu tijd is om ze te herzien en mogelijk te laten vallen. 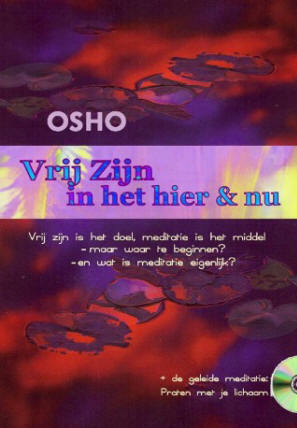 Deze meditatieCD zit nu bijgesloten bij ‘Vrij zijn in het Hier en Nu’, meditatiehandboek. 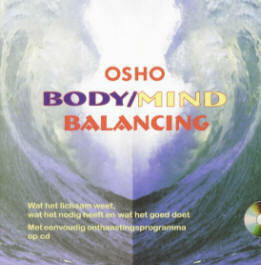 Body mind balancing is een proces dat zich van nature voltrekt. Door overbelasting in werk- en privé-omstandigheden wordt deze balans echter verstoord. In deze bloemlezing belicht Osho de autonome intelligentie en wijsheid van het lichaam, en vraagt hij hiernaar te luisteren. En ook om onderscheid te maken tussen wat het lichaam ons vertelt, en wat ons ‘verstand’ daar vaak voor in de plaats zet. Met praktijkvoorbeelden en suggesties zorgt Body Mind Balancing voor creatieve oplossingen. De bijgesloten cd bevat een eenvoudige meditatietechniek om met ons lichaam te spreken. We herkennen wat we nodig hebben voor ons eigen welzijn, en herstellen de harmonie tussen lichaam en geest. In dat hervonden eigen centrum, worden ‘belastingen’ van het dagelijks leven, uitdagingen waar we spelenderwijs mee omgaan. “Doctors and scientists have now come to recognize what common sense has always told us – that there is a deep connection between body and mind, and it profoundly affects our overall physical health and sense of well being. Researchers have found that nearly half our physical ailments are stress-related. And the “placebo effect” – where people get better just because they believe that a certain treatment or medicine is going to help them, even if they are only taking a sugar pill – is well documented. “It’s all in your head” – most of us have heard this expression more than once in our lives when we were complaining about this or that physical ailment or emotional difficulty… and although we might have denied it, we probably secretly suspected it was true. The problem is that just intellectually understanding that “it’s all in my head” doesn’t help. As Osho points out often in his talks, the thin layer of the conscious mind – the part that intellectually understands something – is only a tenth of our reality. The unconscious layers are far bigger, and when we’re not in touch with them they can be far more powerful. It is this set of relationships – between the conscious and unconscious layers of the mind, and their influence on the body and our overall sense of well being – that Osho addresses in a revolutionary technique he developed in 1989. It started as an experiment with his own body, when his shoulder was giving him a great deal of pain. According to notes taken by his secretary at the time, Osho told his shoulder to “drop the pain” and it did – literally! – as the pain dropped from the shoulder first into the arm, and then the leg. But he kept on experimenting, and invited others also to experiment with a technique of talking to the body and asking it to drop pain, that it was no longer needed and once gone there was no need to bring it back. Over the next few days and weeks, “Reminding Yourself of the Forgotten Language of Talking to the Body-Mind” was born. It is now offered as a seven-day series of one-hour sessions at the Osho Meditation Resort in Pune, India, and offered around the world by individuals who have been trained in the process. With the publication of this book-and-CD package, this process becomes available to individuals who can practice it on their own, and health professionals and counselors who can recommend it to their clients. The book has been created using a variety of selections from talks by Osho, and begins by looking at the ideas we have about the body and our relationship to it that we may not be aware of. 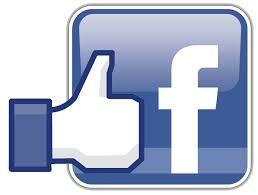 Almost everyone has been brought up with life-negative attitudes and conditionings against the body. And well-meaning attempts by parents and teachers to “civilize” children and help them to be accepted into society often end up repressing their natural exuberance and vitality, the sharpness of their senses, and their curiosity about their own bodies. As adults we can’t do anything to change our own history and upbringing – but we can become aware of the hidden elements of that upbringing, and how they have affected us. The magic is that in the very process of becoming aware, previously unconscious attitudes begin to lose their power over us and we can begin to make new and more life-affirmative choices for ourselves. Once this new foundation is established, we find that we become more aware of the body and its real needs, more grateful and appreciative of its miraculous workings on our behalf, and better able to work with it, not against it, to achieve the goals we set for ourselves.